Hiring the right company at the most minimal cost with the highest exceptional result should be your main goal when choosing a contractor to assist you with your bathroom remodeling project. Who is the right plumber? Do I need just a plumber or someone who can help me plan the layout, fixture purchasing, and execution of the overall bathroom remodeling project?Planning is the most important stage of your bathroom remodeling project. Planning helps you prevent spending more on the remodeling project than you could hope to recuperate if you sold your home down the line. Not only do you need to plan for your budget’s sake, but also for the end result of using your new space. You need to imagine yourself in your new space using it, and be sure to take it into consideration when planning things like the layout of your newly remodeled bathroom. The less time a plumber has to dig or go underneath your home the more money you will save. Save money by not having to rearrange your current drain holes. You will want to have a professional sit with you to make sure you don’t fall into this potentially costly mistake! Layout is key in any remodeling project and cannot be more important than in your Wichita bathroom remodeling project if you want to get a return on your investment down the line. If your reason for remodeling is comfort and convenience, then the current placement of your commode, sink, and shower will not be as important to you. To get the most from your remodel investment, you have to consider the placement of your current drain holes and water inlets. Having to move them can be costly, and you’ll want to be sure that in the long run your remodeling job will bring you more than you spent if you should sell your home. This means if at all possible use the same locations. 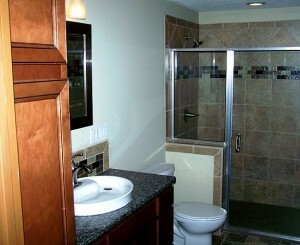 Try to use the placement of the current plumbing outlets to your advantage. You don’t want to have to re-route your plumbing. It costs quite a bit if your plumber has to dig into the foundation (or under it) to add an additional drain hole. The less time a plumber has to dig or go underneath your home the more money you will save. Save money by not having to rearrange your current drain holes. You will want to have a professional sit with you to make sure you don’t fall into this potentially costly mistake! But there are times that you do have to add additional drain holes or re-route your current plumbing, and there will be times you will want to do it regardless of the cost. Either way, it is always better to know and plan for it from the beginning than to start a bathroom remodeling project and find out later. But in any case, you will want someone by your side with the experience and knowledge that can help you avoid the things you hadn’t thought of. 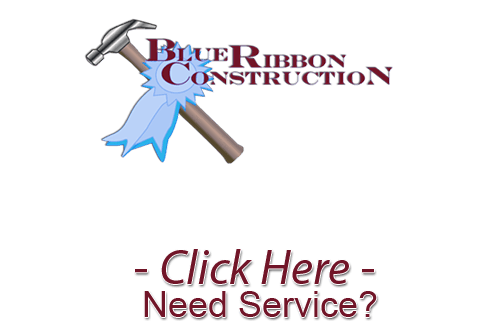 At Blue Ribbon Construction, our Wichita remodeling contractors will help you plan for and avoid these potential complications. If you are looking for a Remodeling Contractor in Wichita, then please call 316-871-4815 or complete our online request form.